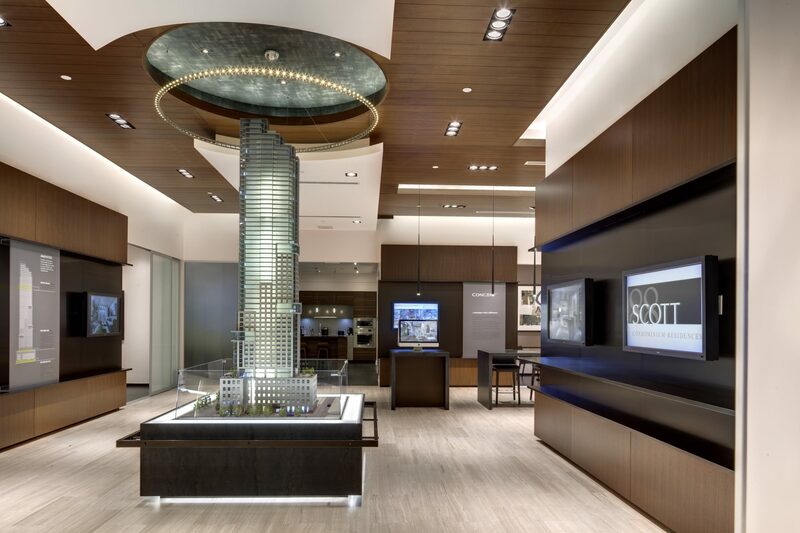 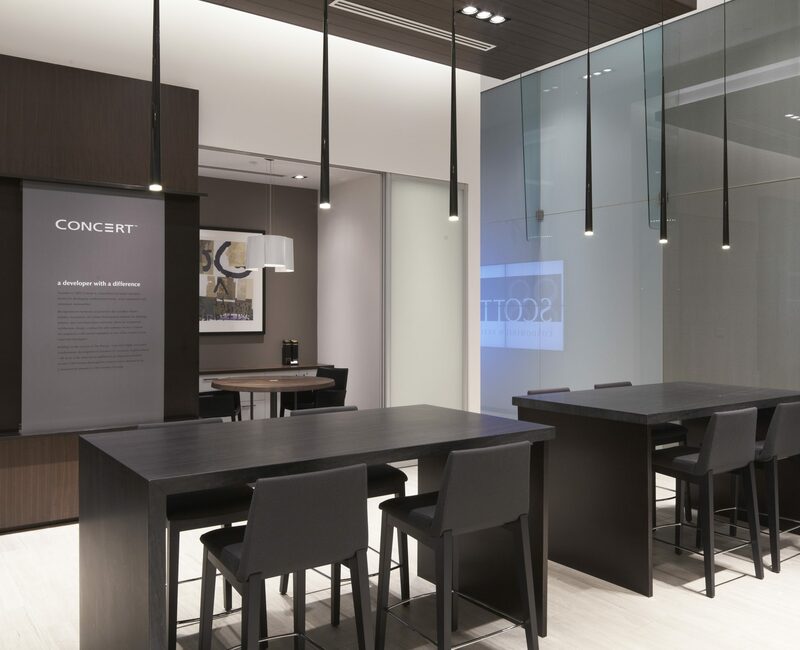 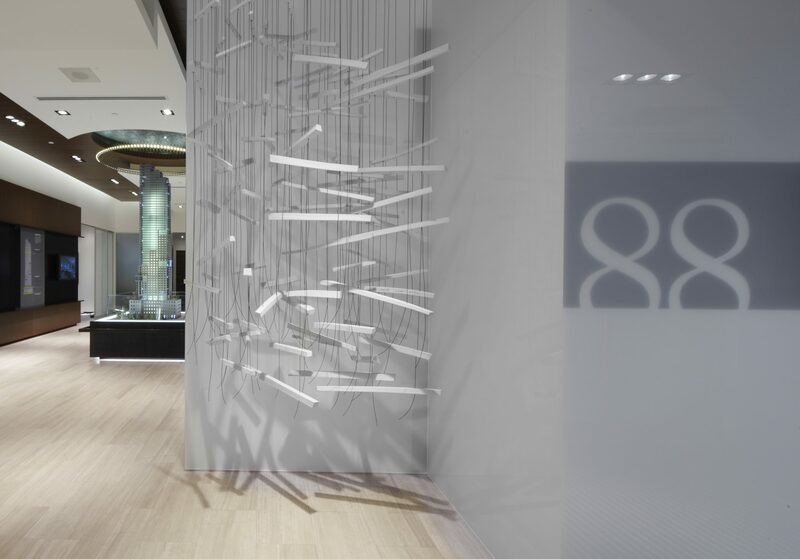 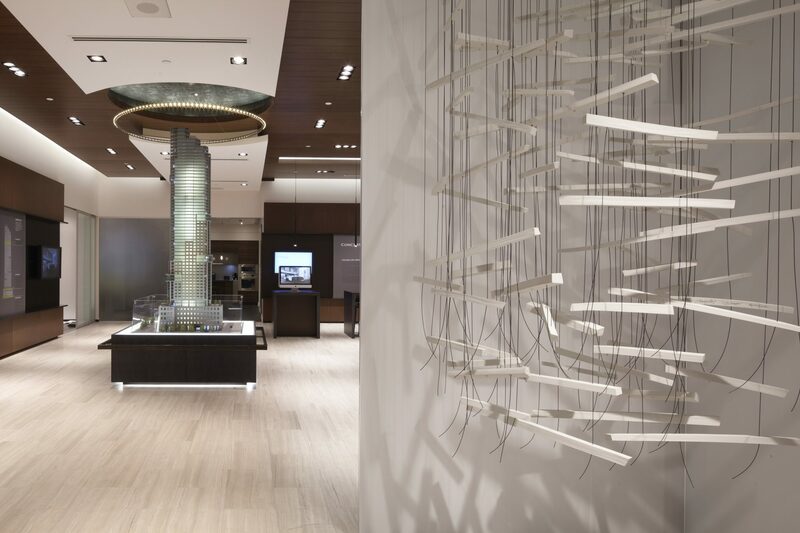 Located at the core of the city centre, this storefront presentation gallery was conceived for a project featuring a distinctive stepped tower rising 58 stories from a historic mid-century modern limestone and granite podium. 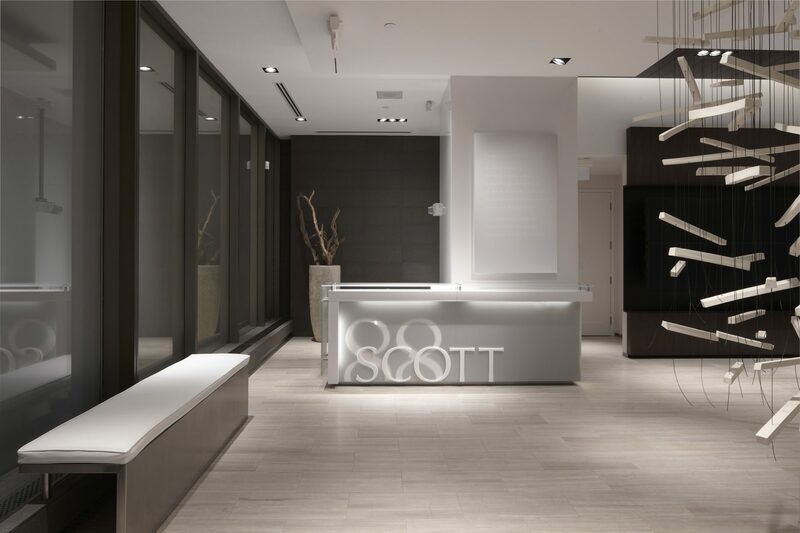 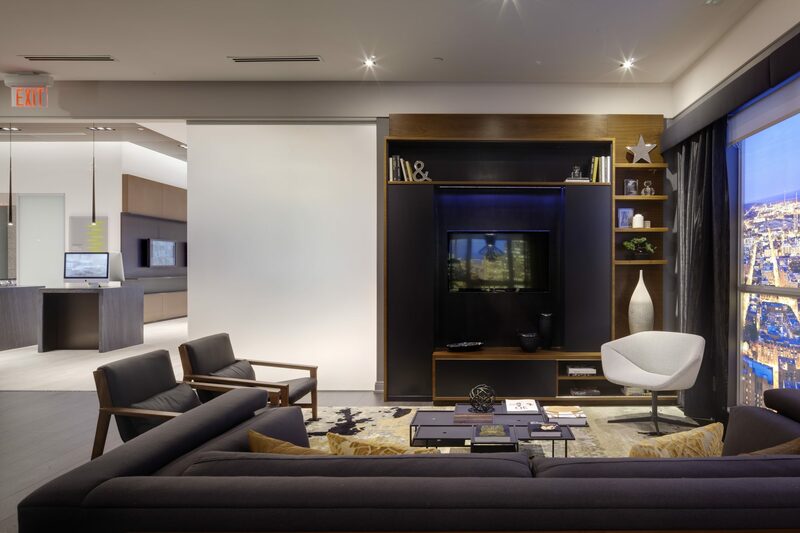 Styled with clean lines and simple forms, the large space captures the essence of the final building. 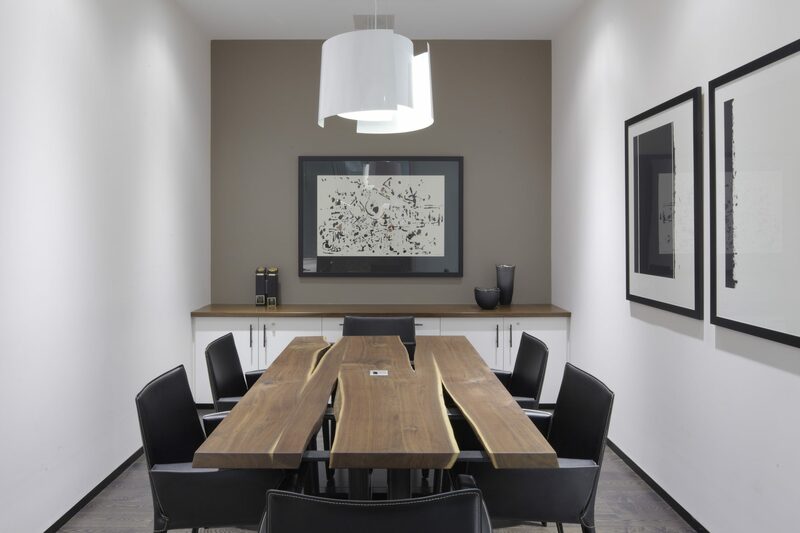 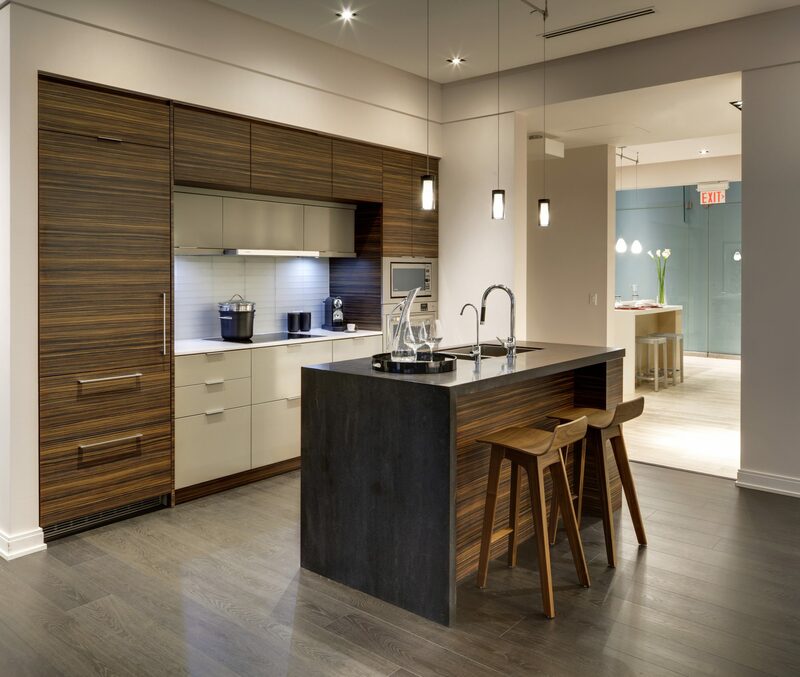 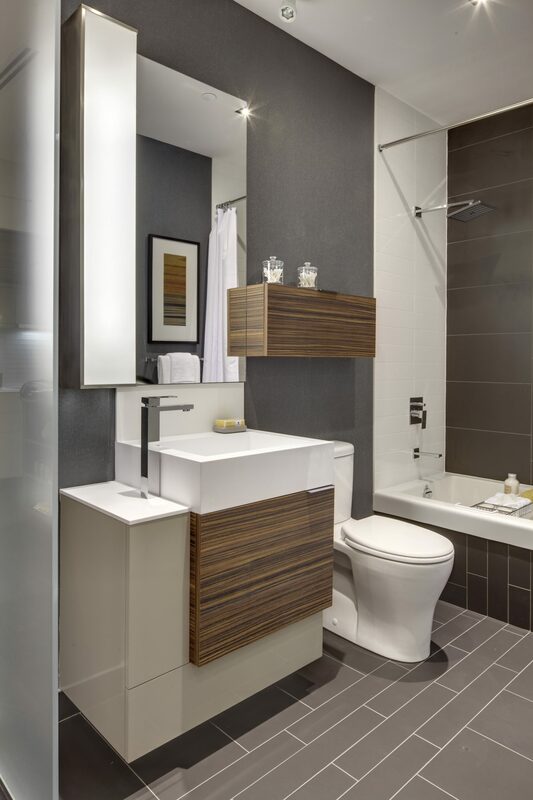 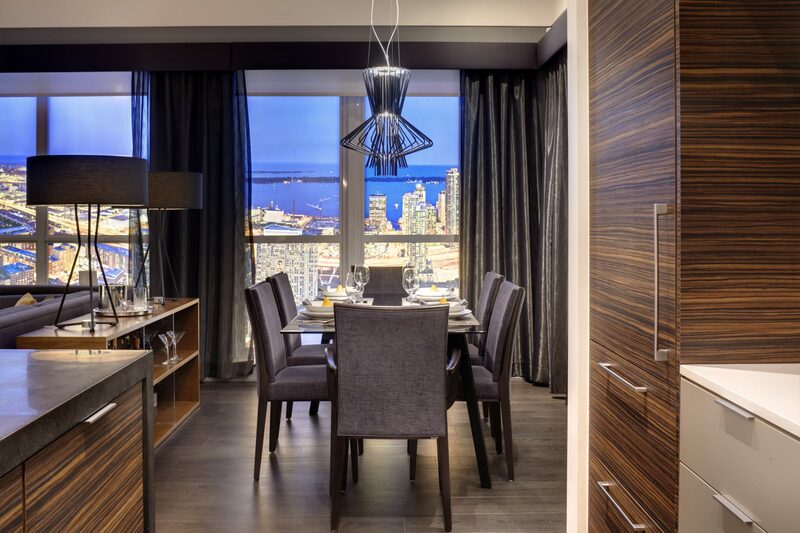 At once sleek and contemporary yet also possessing an artisanal, bespoke quality that speaks to Canada’s history of drawing from the land to craft the environment.